Albert Wolfring Leh, later known to citizens of the Bethlehems and beyond as A.W. Leh—or Captain Leh, in deference to his Civil War service— was born September 17, 1848 on his father’s Williams Township farm, near Easton, Pa. He might have become apprenticed to a tradesman, or even attended college, if that combination of patriotism and a spirit of adventure known as “war fever” had not seized him in the crucial autumn of 1864. On September 8, just shy of his sixteenth birthday, Leh enlisted in the Union Army. He signed up for the 198th Pennsylvania Volunteer Infantry, the sixth regiment recruited under the auspices of the Union League of Philadelphia, and was mustered into service at that city on September 15, as part of Company “C.” Leh’s youthful military service marked the beginning of his lifelong involvement in civic and veterans’ affairs. 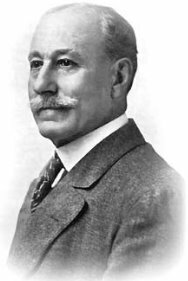 From 1880 through 1918, Leh’s 38-year career as architect included some of the most significant academic, commercial, ecclesiastical and residential structures in Bethlehem and elsewhere in the region. A few of Leh’s architectural designs include Moravian College and Theological Seminary, Broughal Middle School, First Reformed Church, E.P. Wilbur Trust Co., Municipal Market, and Lipps & Sutton Silk Mill.